In western Duhallow is a region anciently known as Sliabh Luachra which is known for its treasure of poetry, dance and music. It is not defined by a geographical boundary but is properly distinguished as a cultural area which was part of the old Kingdom of Luachar which was first noted in the Annals of Innishfallen in 534 AD when the King of Luachar won a battle against Tuathaí Moel nGard. 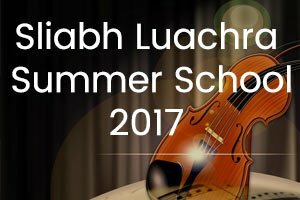 It is recognised nationally and internationally as one of the bedrocks of traditional Irish music, song, dance, poetry, and culture. Hundreds of years ago the area was sparsely populated. After the Plantation of Munster in 1583 and the Battle of Kinsale in 1601, many dispossessed and consequently poverty stricken people moved into the area. The remote and less hospitable environment proved attractive to these migrants, as authorities were less likely to cause trouble here as the region was inaccessible and agriculture quality poor. 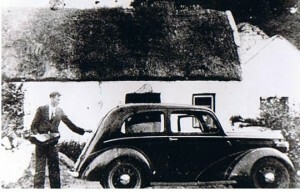 It was in such circumstance, that Sliabh Luachra music, poetry and dance evolved as a particular style. Children were reared literate, with many fluent in Irish, English, Latin and Greek and thought in Classical Schools along with Hedge Schools in Penal Times. The area was blessed with gifted music teachers whose names are legendary. While traditional music was played in the area for several hundred years, these gifted teachers such as Pádraig O’ Keeffe gave the music a ‘Draíocht’ and a feeling that came from the soul of its’ people. Other people of note from the area include Pádraig Ó’ Dúinnín – Lexicographer and Historian; Ned Buckley – poet; and Aogán O’ Rathaille – 17th century Irish Language Poet; amongst others. 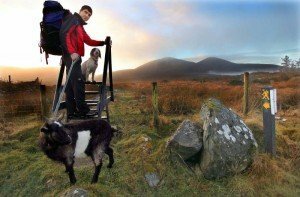 The region of Sliabh Luachra, through its history, people and sets of traditions form one of Ireland’s premier cultural treasures. 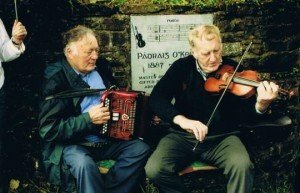 The Sliabh Luachra genre of folk music is essentially the playing of the melodeon, tin whistle and other instruments in fiddle style. 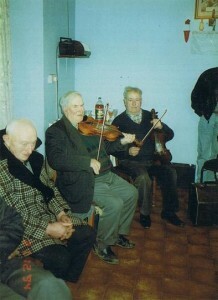 While playing jigs and reels, the bowing styles are important in distinguishing Sliabh Luachra music from other genres. This music is instantly recognizable by its’ particular ornamentation. The style incorporates a rich variety of rhythms which are recognisable in jigs, reels, slides, polkas, and hornpipes as they are played. Above all, it is Irish dance music played for house dances and gatherings outdoors, at platforms, crossroads and bridges. Any level place was deemed suitable for a set! 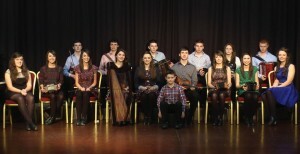 Sliabh Luachra sets are traditionally danced low to the ground. The set consists of four couples dancing to four polkas, followed by a slide and finishing with a hornpipe. Though the set has six formal parts, it is danced in such free-form expression as dancing loosely, high kicking of the legs and improvisations to the delight of observers, musicians and dancers alike.